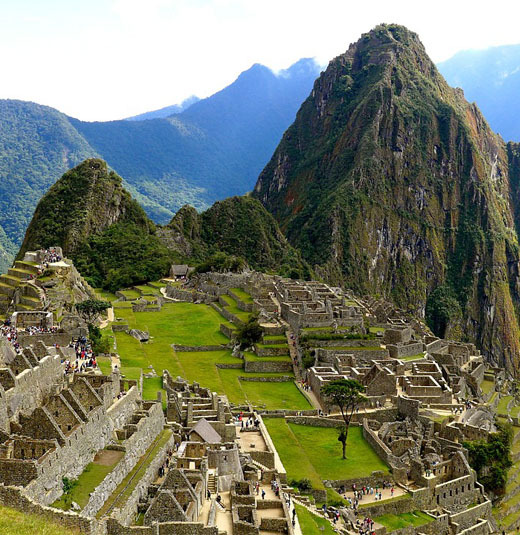 The lost city of the Incas, the mysterious and emblematic Machu Picchu (Peru) attracts millions of visitors every year. Some are history buffs, some are adventure seekers, many are looking for inspiration. Because of this we have chosen a few interesting facts that will grab your attention for sure. 1. The city was never discovered by the Spanish conquistadors. A testament to this fact is that there are no references to Machu Picchu in accounts from the time. 2. The mysterious ritual stone Intihuatana, may be a sophisticated sundial… But it was almost destroyed when a crane fell on it while filming a beer commercial! 3. The city was not only inhabited by the Incas, remains belonging to inhabitants of villages on the shores of Lake Titicaca more than 300 kilometers away were also found in the city! 4. Why did the Incas abandon Machu Picchu in the 16th century? There are a few different theories… It could have been because they interpreted divine signs telling them to do so, or because of a dispute between King Viracocha and his son Pachacuti, or the fight between the Incas and the Antis (inhabitants of the Amazon Region)… but recently the theory that says Machu Picchu was abandoned by the noble Incas who, after the Manco Inca rebellion (1536), decided to establish themselves in Ollantaytambo is becoming more popular. 5. How did the Incas manage to move those huge stones and work them with such exactitude? There’s no shortage of people who talk about extraterrestrials, but we should keep in mind that the three main buildings in the complex were constructed very close to the quarry and stones like hiwaya that is harder than granite have been found, which could have been used to shape the gigantic blocks of stone. 6. In Machu Picchu, you can get your passport stamped with an image of the city… an interesting memento from your trip! We hope you liked these interesting facts about the mysterious city. But we hope even more, that you love this magical place as much as we do!